I've been on a new recipe kick lately. I'm trying to make us meals that are yummy and pack in lots of veggies...and trying to find some new favourites. 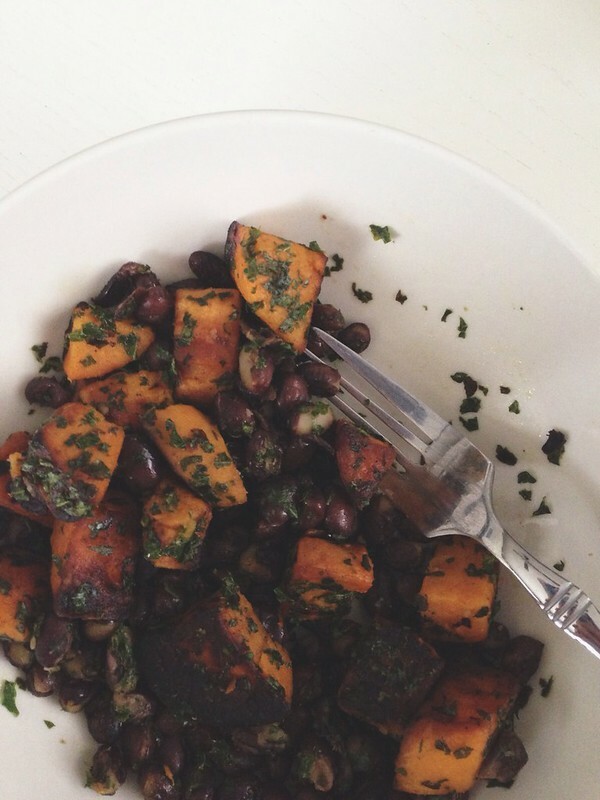 I'm not going to lie, I pinned this GOOP recipe thinking that this is the type of thing we SHOULD be eating but also thinking that it probably was going to taste like a big pile of parsley. You know, 'health food'. Gross in theory. I was WRONG. This meal is SO delicious! Ben ate every last bit of his dinner, and Billy not only was willing to try it, but said he would eat it again. Billy, who saw me cooking it and said "Well that looks good" in the most sarcastic voice of all. He pretty much despises the idea of Kale in general. Based on some of the past recipes I've tried (and failed) I don't blame him. But this time, this time was a success. I made my potatoes a bit smaller, didn't have any sumac so I left that out, and I put my kale through the food processor thinking it would be a bit more toddler (and husband?) friendly. I couldn't stop eating it. It was so easy to throw together and was on the table in no time. YES! 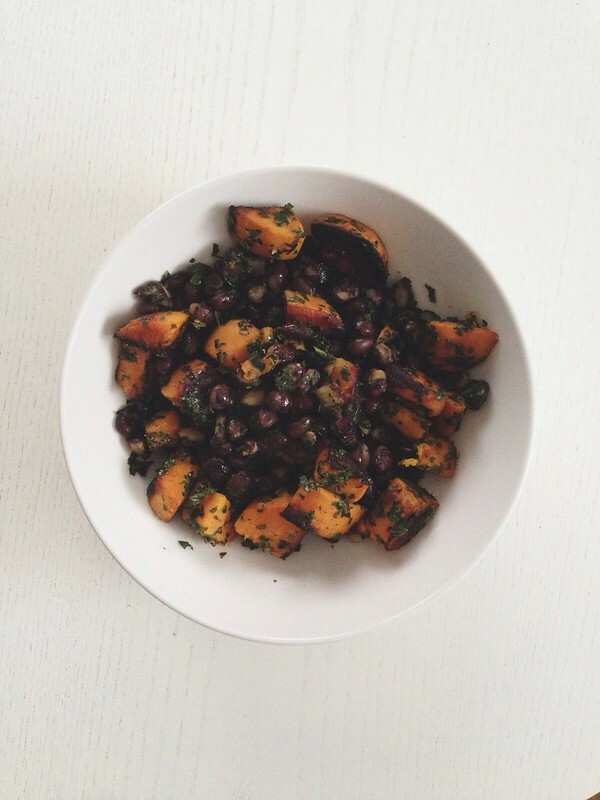 Sweet potatoes and black beans are an excellent combo...one of my frequent go-tos. Any dark green is great added to the mix. I am definitely keeping this recipe in mind.